The initiative, funded by the Engineering and Physical Sciences Research Council (EPSRC), is a collaboration between the UCL Quantum Science and Technology Institute, Google Quantum AI Lab and the University of Bristol Quantum Information Institute. It also includes UK start-up companies GTN and PhaseCraft. The partnership will study and develop quantum software for modelling and simulation, and its work will help develop the foundation of a quantum software industry in the UK. Quantum simulation will help scientists to understand and predict the behaviour of materials and chemical reactions. The quantum mechanical effects in these systems makes them very hard to accurately model using current supercomputers. Scientists hope that the new partnership will lead to the discovery of new materials, chemicals and drugs - leading to the design of new products such as high density batteries and more efficient solar panels. The partners will develop the algorithms, verification tools and benchmarks needed to realise the power of quantum simulation. Professor John Morton (UCL Quantum Science and Technology Institute) said: "Quantum computers are poised to surpass the capabilities of today's supercomputers. This partnership will develop quantum software to exploit this computational power, leading to the discovery of new materials, chemicals and drugs, impacting sectors including energy, transport and healthcare." The Secretary of State for Digital, Culture, Media and Sport, Jeremy Wright MP, said: "We are determined to make the UK the place to pioneer the technology of tomorrow, so it's great that Google is launching its first major international academic collaboration in quantum computing here. "The new partnership, bringing together leading universities and the country's start-ups, will help us realise the potential of quantum to solve problems today's computers are unable to address." Eric Ostby (Product Manager in Google's Quantum AI Lab) said: "Our team is excited to launch this Prosperity Partnership with UCL and Bristol for research in quantum simulation and verification. 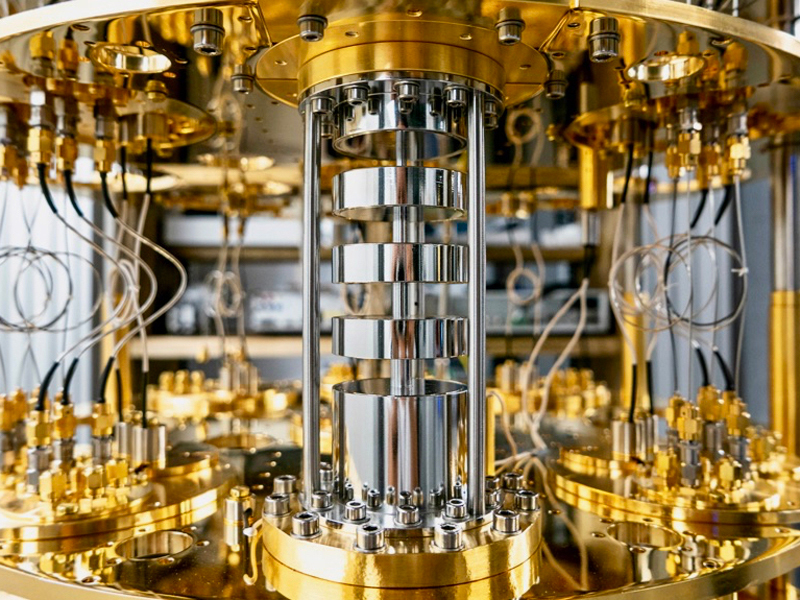 Collaborations across academia, industry and companies are crucial to developing algorithms and applications for today's quantum processors like Bristlecone." Professor Noah Linden (Director of the Bristol Quantum Information Institute) said: "This collaboration between Bristol, UCL and Google brings together world-leading groups from the UK and US with a unique combination of skills. We are very excited to embark on this Prosperity Partnership to work on modelling and simulation, one of the most important challenges in quantum computing." The partnership will officially start in January and run for five years. It will bring together world-class expertise in quantum algorithm development and the exploitation of software applications with cutting-edge developments in quantum processor hardware. The programme will contribute to the Government's goal of investing 2.4 per cent of GDP into research and development within the next 10 years, with a long term goal of three per cent. The Prosperity Partnership in Quantum Software for Modelling and Simulation is funded by the EPSRC together with the participating partners. The project is also supported by the Alan Turing Institute (ATI), the National Physical Laboratory (NPL), Flatiron Institute and Siemens Healthineers.